This is Uriel, named after an angel. He is a grey tiger short hair. Uriel is 1 of the 22 cats we rescued late last summer (2017) from a hoarding/neglect situation. All that cats came to us in rough shape. But we are happy to say that Uriel is doing great and is all set for a new loving home. His birthday is 26Jun2009. 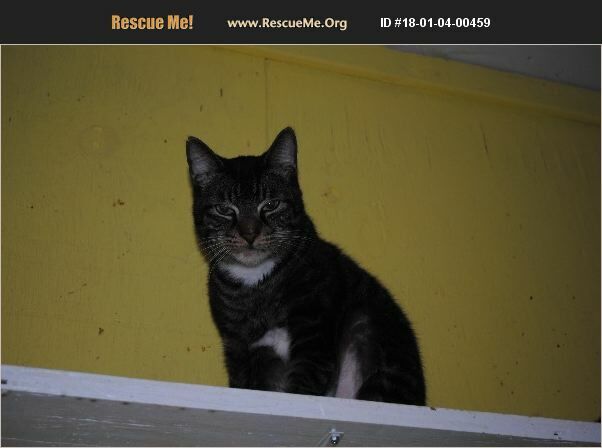 He is a timid cat yet friendly when he gets to know you. He will give you face kisses once you become his best bud. We would be thrilled to see Uriel get adopted. He's been through so much and come out a survivor. This boy deserves the best now! Come on out and meet Uriel and the others. You won't regret it!